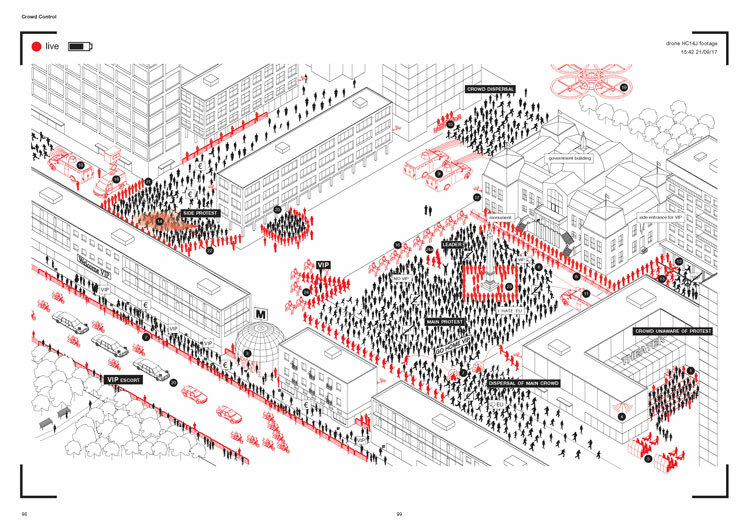 We speak to the book’s author Theo Deutinger about how architecture and design can be used as forms of oppression, with examples as varied as crowd control plans during protests to the fences and walls around the world designed to keep people out. It’s no secret that we may as well be living in a dystopian George Orwell novel these days. What with President Trump steamrolling ahead with plans to build a wall between the US and Mexico, his enforcement of a travel ban on six Muslim-majority countries including Syria and the fact that one in every 113 people on earth can now call themselves a refugee, the world can often feel like a pretty oppressive place at the moment. 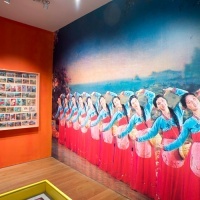 But what role – if any – does design play when set against this backdrop? 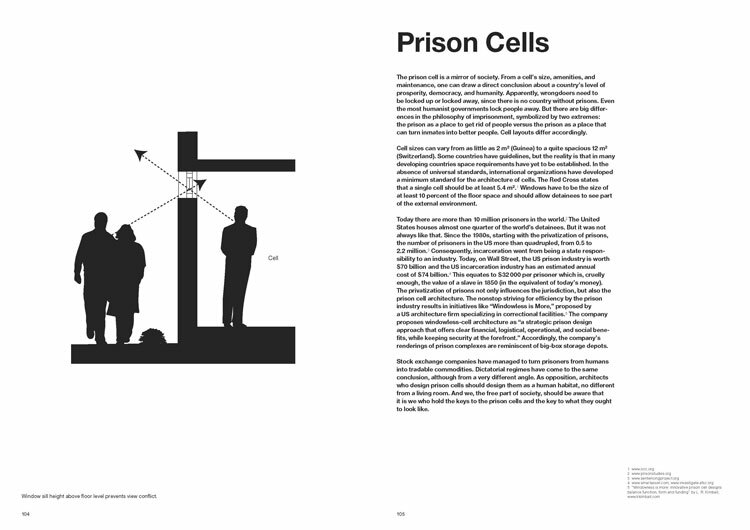 A new book from Lars Müller Publishers uses infographics to illustrate how architecture and design are used by everyone from governments to terrorist organisations to practice cruelties every single day. 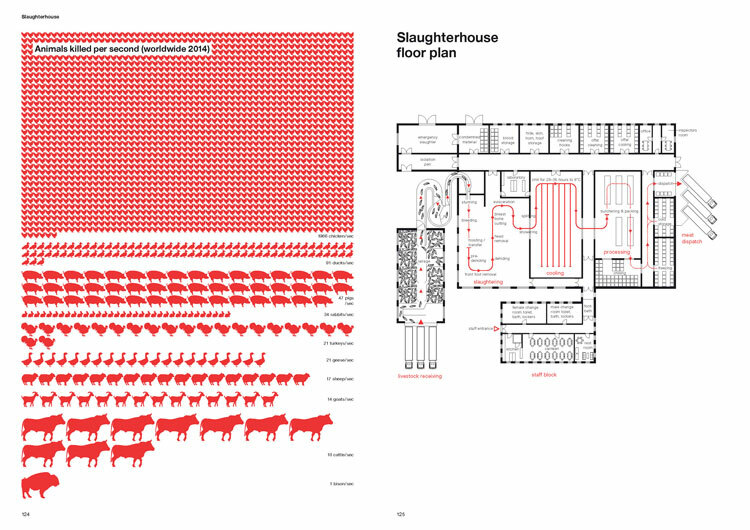 Written by architect and designer Theo Deutinger, the book includes chapters on everything from the layout and processes of the slaughterhouses that satisfy our huge appetite for meat, to the number of state-sponsored fences and walls currently in existence or being built around the world. 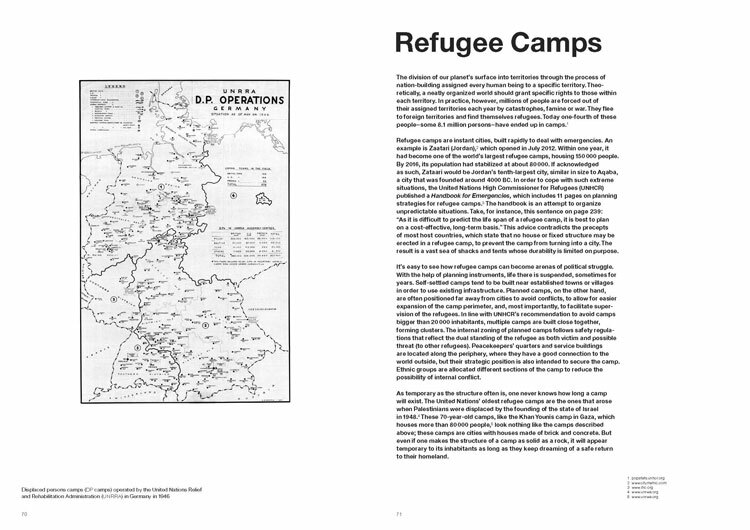 Here, Deutinger talks about how the book came about, and why the infographic is such a powerful form of expression. Design Week: Tell us about your background as an architect and designer. Theo Deutinger: As an architect, I strongly belief in contextual architecture, which is the idea that architecture always subordinates to its spatial, cultural and economic context. In a globalised world, the largest spatial context is earth itself. This is one of the today’s dilemmas, that this context can take on such a large scale and intensity. In order to get to know these different contexts, I developed a very specific way of illustrating and interpreting spatial realities in what I call snapshots of globalisations (SNOGs). These SNOGs help me and my colleagues better understand the context we are working in as architects. DW: How did you get the idea for the book? TD: The idea for the book started out with one SNOG that depicts walls and fences around the world. Now that SNOG is one of 12 chapters in the Handbook of Tyranny. For me and my team, it became clear that a black and white technical drawing of the Palestine Wall, for example, is so much more powerful than any photographs we have seen before. For four years, we worked continuously on similar topics that show how design and architecture can be used as forms of oppression. DW: How did you choose what kind of information you wanted to include? 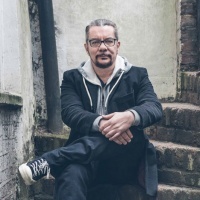 TD: Although it isn’t forced, there is an underlying narrative throughout the chapters that takes the reader on a journey through the world – starting with their entrance into the world as a citizen and ending at their own front door. 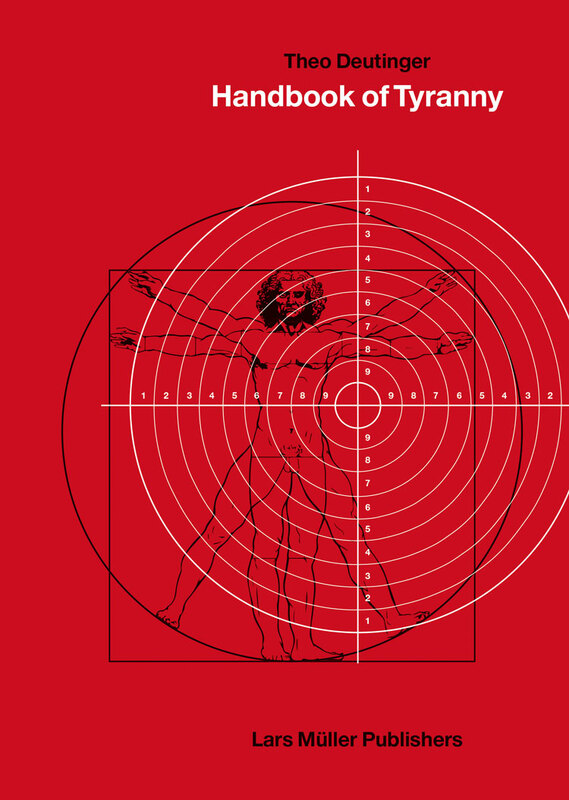 I tried to explain the design of oppression in as many layers of our daily lives as possible. There is a special focus on the three main parameters of spatial determination: the political, cultural and economic forces. In terms of information, I have tried to show a complete picture throughout. For example, I show all passport regions, walls and fences and execution methods that exist in the world today. 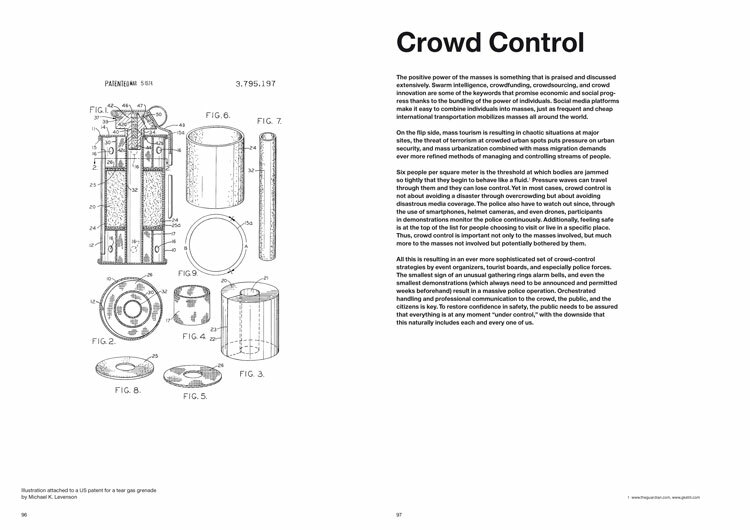 By doing this the book becomes a valuable document of this moment in time – a snapshot of how we use technology to organise spaces and people today. DW: How is the book laid out? TD: The introduction explains the relationship between space, technology and humans – the three essential protagonists of the book. We have chosen an A4 page format as this fits well with many of the examples of standardisation throughout the book. 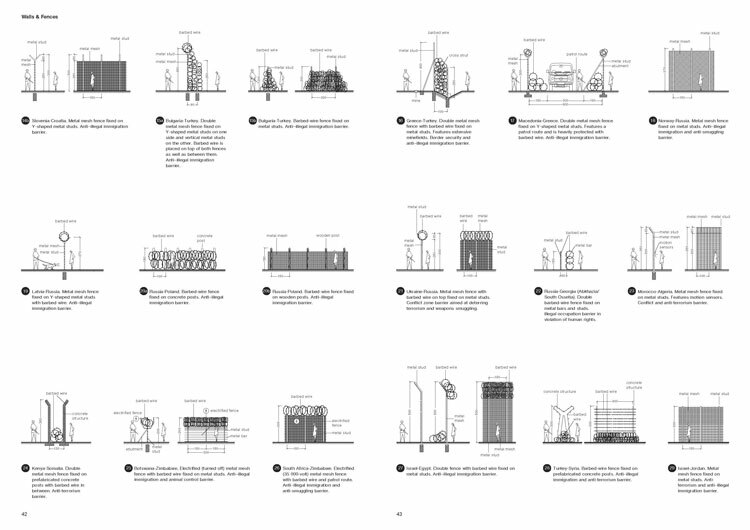 Each of the twelve chapters deals with a different area of design, for example the passport as legal design, refugee camps as urban design, anti-vehicle measurements as street furniture design and anti-burglar plants as landscape design. All illustrations are technical black and white drawings, while the colour red is used throughout the book to highlight specific details. 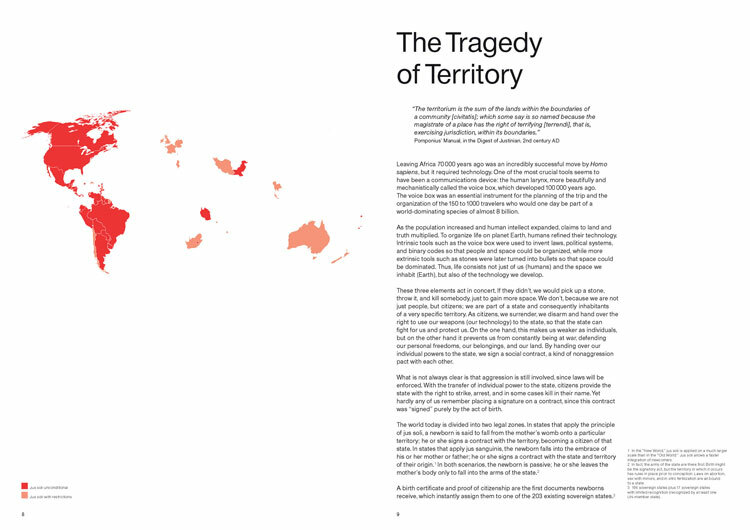 DW: Why do you think the infographic lends itself to the content? TD: In general, I don’t like to refer to my work as infographics. To me the book is a non-fiction graphic novel. I don’t care so much about the beauty of the illustrations as the information and cultural meaning behind them. 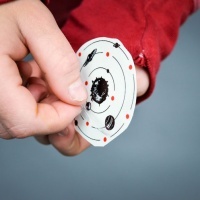 Data on its own is useless, but it becomes interesting if it is comparable and contextual. 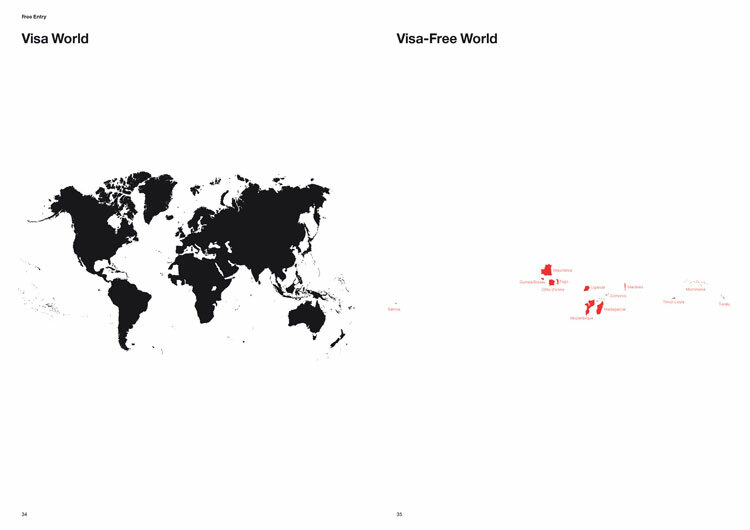 For example, in the chapter Free Entry, all visa-free countries in the world are illustrated. It is very easy to get hold of this information, but by showing the world disappearing as the reader thumbs through the pages they not only process the information, but also experience it. You can’t easily put that information into words, so that’s why it is more powerful as a drawing. DW: Which example featured in the book do you find the most shocking? TD: I would have to say the 18-metre-deep sheet pile wall used to prevent smuggling tunnels being dug between Egypt and the Gaza Strip. The 12-kilometre-long wall was co-financed by the United States, and demonstrates how resolutely the battle of exclusion is being fought. The energy and the scale of this endeavour is shocking – isn’t it absurd to make a wall 18 metres deep? Ironically, it already proved to be completely inefficient during construction, because smugglers simply cut holes through it with a blowtorch. Israel is now building a new concrete wall on its border with the Gaza Strip that is supposedly more than 30 metres deep, so we haven’t even reached the tip of the iceberg yet. DW: What do you want people to take away from reading it? 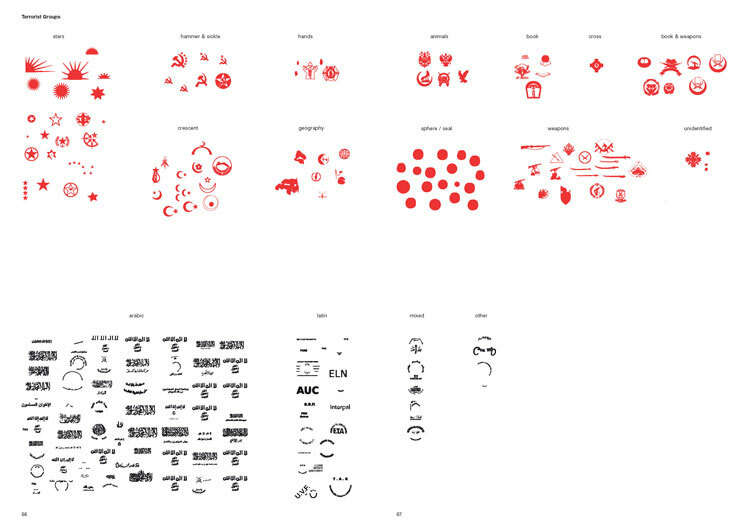 TD: The book depicts everyday things whose purpose and meaning are often hidden for people outside of the design world, such as the giant “Arsenal” sign in front of the football team’s stadium. The letters appear to be an advertisement for the team, but are in fact designed to prevent a vehicle attack and are apparently strong enough to stop a seven ton truck. I hope the book helps people – especially non-designers – to rediscover the space around them and question the absurdities we are faced with everyday. On a wider scale, the book can provide people who work in politics or at non-governmental organisations with evidence about cruelties, like the ones depicted in the chapters on slaughterhouses, prison cells or the death penalty. I would love to see the book used as evidence in a court case. 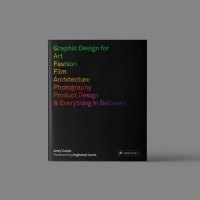 I think the book’s relevance could be even bigger outside of the design world. Handbook of Tyranny is published by Lars Müller Publishers. It is available to buy for €30 (£26) from the publisher’s site.